Scones, scones, scones! 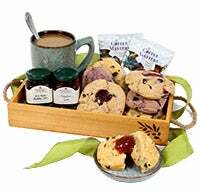 Breakfast Gift Crate includes delicious Blueberry, Orange Cranberry and Chocolate Chunk scones matched with Stonewall Kitchen's Strawberry and Wild Maine Blueberry jams and two tasty gourmet coffee packs. 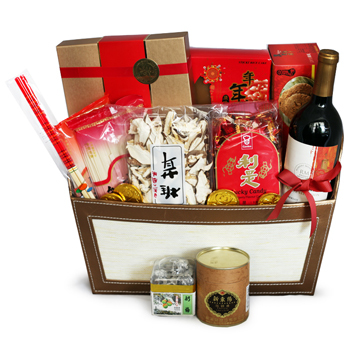 This gift crate is $69.99 with free shipping. 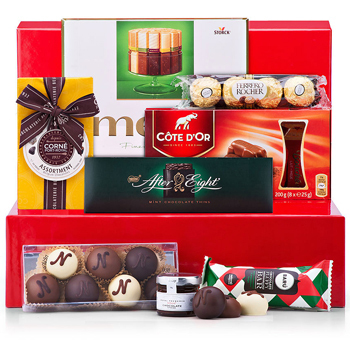 This crate makes a great get well, thinking of you, Happy Birthday or Easter morning gift! candle sale candles are close to 40% off! 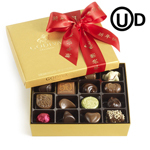 Gold Ballotin Tied with Lunar New Year ribbon 7.2 oz (19pcs)- OU-D;- Gift Wrapping;- Greeting Card. 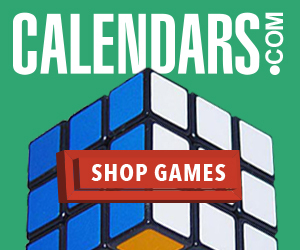 Calendars.com Sale Department - Starting $3.74 Up to 75% off Sales - New Markdowns! Our Meat and Cheese gifts continue to be top sellers. We have a number of these samplers available with Free Shipping every day. 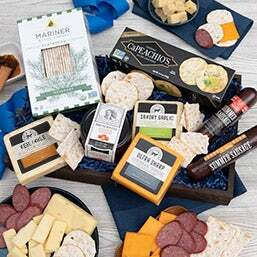 This sampler deluxe is just $69.99 and includes shipping and features a carefully selected assortment of artisan meats, cheeses and crackers. From roasted garlic sausage and summer sausage, to four types of gourmet cheese, this is the perfect gift to send for any occasion. They'll have fun pairing the different meats and cheeses with the hearty crackers and sun dried tomatoes! Easter Gifts on Sale! $5 off less than $50, $10 off $50+ or $15 off $100+ With code PEEP 3/28 thru 4/21. 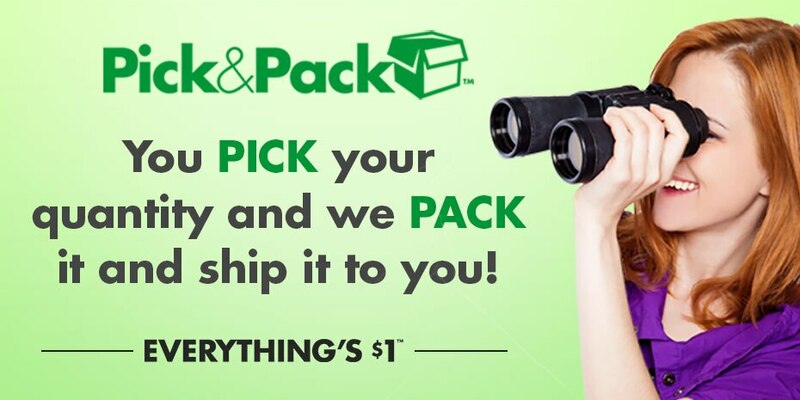 Plus free shipping on select products! Check out our promotions page to see the latest discounts! 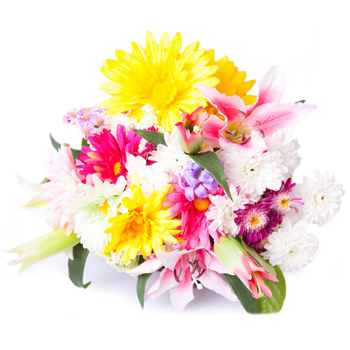 Say hello to springtime and kiss the dreary winter days good-bye with this bright, cheery Easter arrangement! 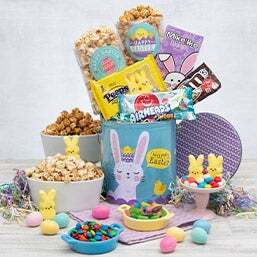 They've filled a cute tin with festive items, like a delicious chocolate bunny, gooey marshmallow PEEPS, and crisp gourmet popcorn, creating a wonderful gift that's sure to make this Easter one to remember! -Check out promotions page to see the latest discounts! -See NEW! 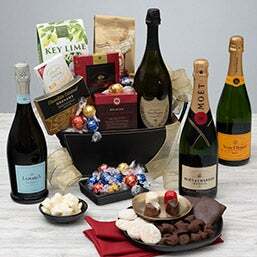 Spiked Hard Seltzer Gift Bucket paired with tasty treats! No matter how old your children are, the best Easter baskets for children are easier to find than you think. Everything from baskets filled with cute stuffed bunnies, and tasty yummy treats, baskets with toys, freshly-baked Easter cakes, even popcorn tins, To make it easy all Easter gifts can be delivered right to your door in time for Easter. 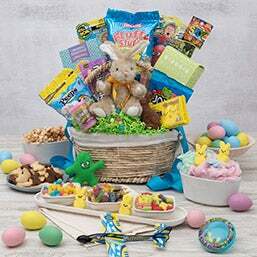 Classic Easter Basket (sku 4641; $49.99 + Free shipping) Hippity-Hoppity Easter Gift (sku 4640; $34.99 + Free shipping) Free Shipping on Classic Easter Bunny Basket! Send fruity candies, chocolate, marshmallow PEEPS®, and a sweet stuffed bunny! 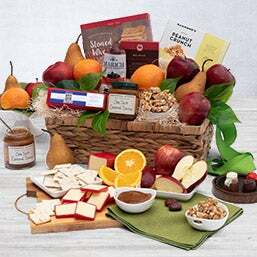 Easter Sweets & Treats Basket (sku 4647; $59.99 + Free shipping) classic Easter offerings for 2019, including this Easter Orchard Fruit Basket. 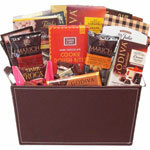 You will love the fresh fruit, rich milk chocolate, jam and crackers in this perfect Easter basket for the whole family. Spiked Hard Seltzer gift bucket. 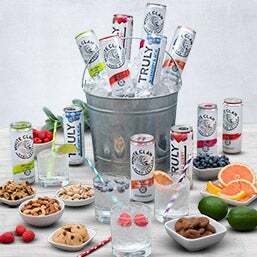 This fizzy celebration gift bucket loaded with spiked hard seltzer beverages is sure to please the most dedicated health nut. This gift features tasty, low calorie alcoholic seltzer water beverages in six "sun"-sational natural fruit flavors. Your gift recipient is sure to be reaching for more of these low carb and low calorie bubbly beverages without a hint of guilt. This health conscious happy hour in a bucket wouldn't be complete without gourmet nuts and trail mix, cranberry pomegranate clusters and key lime cookies. 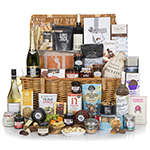 Are you looking to send gifts to the UK from the US? Then look no further. Whether it's for a friend, family or a special someone overseas, we’ve found options that are perfect for anyone and everyone. 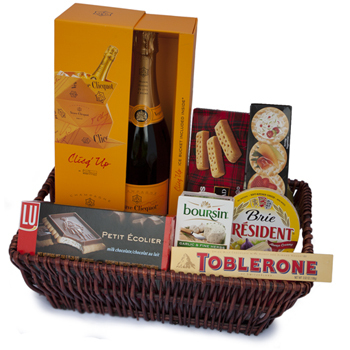 Click any of the links below and you’ll be able to send that specific gift basket to the UK from the US or anywhere else in the world. 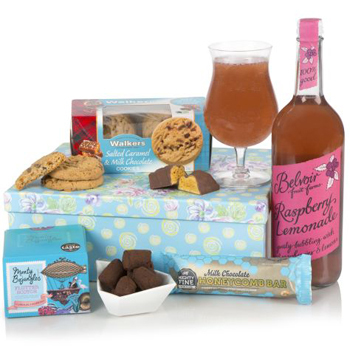 - Belvoir Raspberry Lemonade 75cl;- Walkers Salted Caramel & Milk Chocolate Cookies 150g;- Mighty Fine Milk Chocolate Honeycomb Bar 43g;- Monty Bojangles Flutter Scotch Curious Truffles 100g;- Packaging;- Gift card. 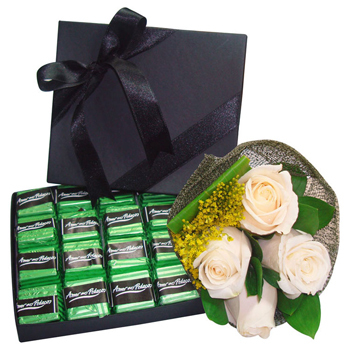 We have some many thoughtful gifts that you can share in wedding gift guides! 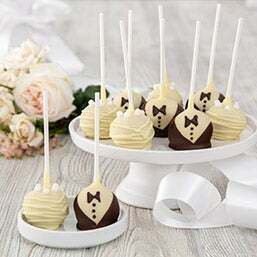 From wedding themed cake pops to romantic dinner kits - we have you covered! 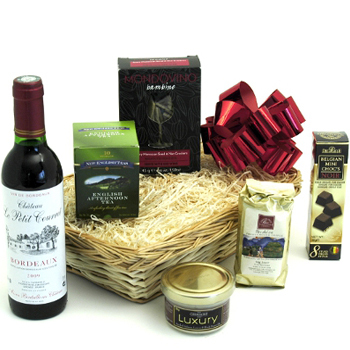 One of my favorites is our Chianti Italian Gift Basket (pictured below.) This beautiful gift is comprised solely of authentic award-winning foods like artisan pasta handmade in Abruzzo and rich, gourmet Arrabbiata sauce. 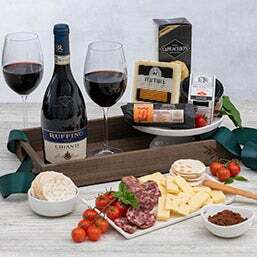 Of course, no Italian meal would be complete without well-balanced, medium-bodied Chianti, so we've included that too, creating an impressive gift they won't forget. 2 Extra bottles of wine in the first shipment of any new Membership or Gift purchase from The California Wine Club from 1/14 - 4/30. 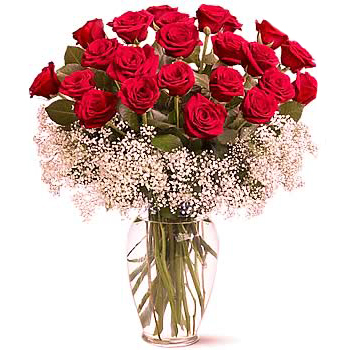 Flowers and Cards – Flowers are always a good idea to express your blessing and good wishes for the happy couple on their journey. Be sure to include some heartfelt words of wisdom in an accompanying greeting card. Follow Goldy's board Gifts on Pinterest.